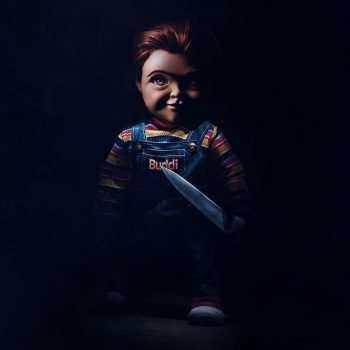 Child’s Play is not a remake of the 1988 horror classic, but rather it’s dubbed as a “re-imagining” of the tale. Aubrey Plaza (Parks and Recreation) is single mom Karen who gifts her son Andy (Gabriel Bateman) a Buddi doll. As well all know, this doll is not as lovable as can be and actually is all about mayhem and murder! The big draw for folks who are not diehard fans of the Chucky franchise may be Mark Hamill (Star Wars: The Last Jedi) who is the voice of Chucky. In preparation for the flick, Hamill saw all seven of the previous films and since he’s one of the entertainment industry’s most beloved voice actors (he voiced Joker in Batman: The Killing Joke), he should knock this role out of the park. Check out the trailer and tell us what you think of Hamill’s interpretation of Chucky (his voice is teased at the end of the clip)! Taylor Schilling, best known for her work in Orange Is The New Black, is hilarious as Kate Stone, a New Jersey hedge fund executive in the new indie comedy Family. Kate, who is career minded, candid, and anti-social is tasked with taking care of her niece (Bryn Vale) after her brother (Eric Edelstein) and sister-in-law (Allison Tolman). Written and directed by Laura Steinel, the feature also stars Kate McKinnon and Brian Tyree Henry. Lastly, Family should appeal to fans of Insane Clown Posse and the juggalo culture, as they are given substantial screen time in this 83-minute gem. 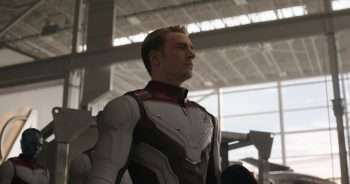 Also spotlighted on the latest episode of CinemAddicts is Avengers: Endgame and the indie drama Little Woods which stars Tessa Thompson and Lily James. This month, we also do a deep dive into the classic films Giant (starring Rock Hudson, James Dean) and the Orson Welles directed Touch of Evil. That episode will be available for our Patreon members. Check out Episode 94 of CinemAddicts below! The Curse of La Llorona – Horror takes in $26.5 million and it’s a bonafide hit since its budget was estimated at just $9 million! Shazam! – Comedy collects $17.3 million. Breakthrough – Drama grosses $11.1 million. Captain Marvel – Brie Larson headlined comic book flick takes in $11.1 million. Little – Comedy grosses $8.4 million. Dumbo – Tim Burton’s latest feature makes $6.8 million. Pet Sematary – Latest Stephen King adaptation makes $4.9 million. Missing Link – Animated feature collects $4.4 million. Us – Jordan Peele thriller collects $4.2 million. 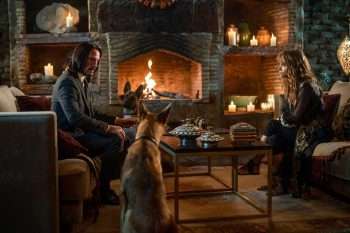 Hellboy – Budgeted at $50 million, Hellboy has been a disappointment. Feature makes $3.8 million. UglyDolls is an animated musical adventure that centers on Moxy (Kelly Clarkson), an individual who aims to break free from environment of Uglyville and celebrate her individuality. Nick Jonas voices Lou, a seemingly “perfect” individual who is not a fan of the UglyDolls’ aesthetic. The first single from the UglyDolls soundtrack is the Clarkson track “Broken & Beautiful,” with Jonas also contributing with the original song “The Ugly Truth.” Janelle Monae and Blake Shelton round out the ensemble. 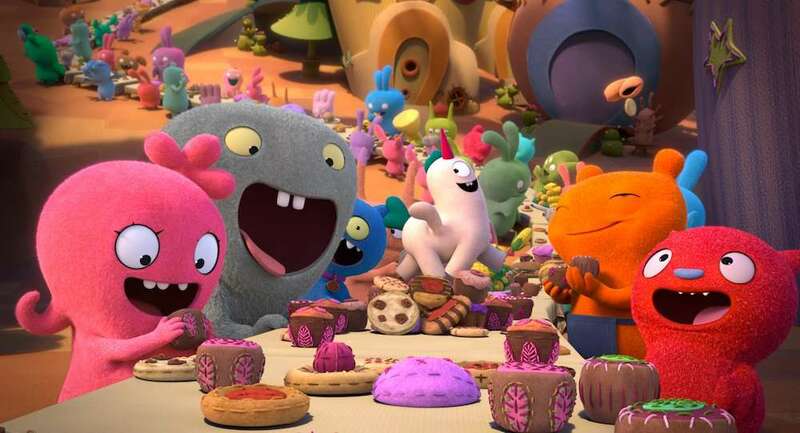 UglyDolls, directed by Smurfs: The Lost Village director Kelly Asbury, hits theaters May 3.